The history of Kent Gıda A.Ş. dates back to 1927, when the Tahincioğlu Family first entered the confectionery business by producing a traditional Turkish sweet, tahin, from sesame seed oil. By 1946, the Family had improved the business to open up a small workshop in Diyarbakır manufacturing halvah and hard candy. In the early 50's, The Tahincioğlu Family moved to İstanbul, and in 1956, Kent Gıda was established with only 11 employees which would later become the largest Turkish confectionery company. 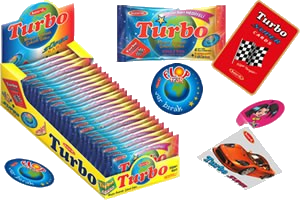 As the first modern candy manufacturing facility in Turkey, Kent also pioneered the chewing gum industry in Turkey by expanding its product range to include chewing gum in 1960, and entered the chocolate industry in the early 80's with a limited chocolate line. 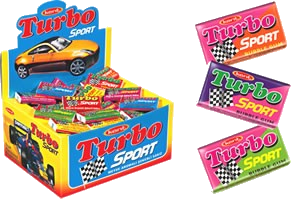 By then, Kent had two factories in Istanbul and one in Gebze, Kocaeli, manufacturing a wide range of products in candy, gum and chocolate. 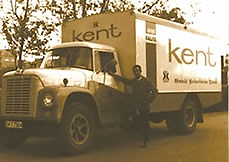 In 1983 Birlik was established to handle the marketing and distribution of Kent products throughout Turkey. 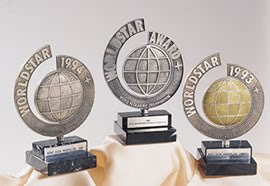 Kent went public in 1990, offering 15% of its shares on the Istanbul Stock Exchange. By 2000, Kent consolidated the three factories into one state of the art facility in Gebze, Kocaeli. The high quality innovative products manufactured in this factory have been exported to over 100 countries around the world. The potential in these markets have led Kent to search for growth opportunities in the international markets. In 2001, this search resulted in the establishment of a 50%-50% joint venture with the Spanish lollypop manufacturer Chupa-Chups in St. Petersburg, Russia. 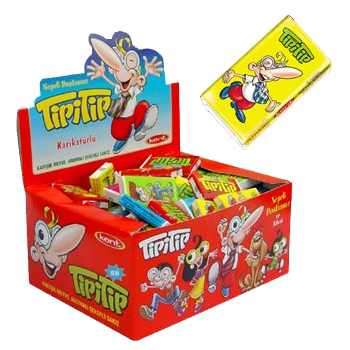 In 2002 in London was signed signed a partnership agreement between Kent and Cadbury Shweppes, by which Cadbury obtains 51% of Kent, and buyed distribution company Birlik. Today, as the leader of the domestic confectionery market in Turkey, Kent is continuing to grow in the international arena to become a world player. Today information from old web-site we can find here. From 2010 Kent works under Corporation Mondelēz Intl. Year of production and approx prices indicated by existing Tusbo gum covers by field "Prod.date" (P.Date). 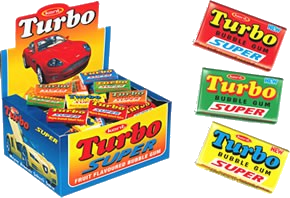 This table represents all series of Turbo wrappers. Middle prices are shown from bad to good condition from 2007 till 2014 years. Aren't indicated prices for wrappers with printing errors.